Touch Screen Technology Essential To Supply Chain Management | OhGizmo! Data-driven industry and supply chain management is pushing the drive toward greater connectivity in computers on shop floors, from industrial PDAs and control panels to CNC machines. The ability to comprehensively collect real time data and analyze it, whether it’s on a single shop floor or worldwide, means that factories, warehouses, and transportation companies can operate more efficiently, reduce errors, and improve profits. However, it also means that the technology used on the shop floor and in the hands of drivers, packers, and inventory controllers has to keep up. Industrial PDAs without WiFi or that act as data silos are no longer acceptable as inventory management systems require real time updates. Connectivity is giving industry and SCM renewed competitiveness as foreign competition puts pressure on already slim margins. Take for example this story in The Telegraph about a manufacturer of plumbing parts that regularly struggled with the daily fluctuations of metal prices. Their material costs were always unpredictable and price adjustments happened regularly. The switch to a new IT technology that would help them better manage their supply required the introduction of touch screen PDAs and all-in-one PCs that could communicate seamlessly between inventory and accounts. Touch screens for industrial PDAs have to be tough, as they often get dropped, banged up, contaminated, wet, or even gouged (for example, when a stylus goes missing and busy inventory controllers have to improvise). If they’re used outside or in transportation, they have to be weatherproof and screens will have to function in the cold. All-in-one PCs or panel PCs that use touch screen technology have become central to managing data and processes from a single location. A touch screen is a must-have when it comes to managing such a high quantity of data, rather than a cumbersome analogue control panel that relies on switches and buttons. Depending on the environment, all-in-one PCs can either use PCAP touch screens (projective capacitive) or resistive touch screens. Touch screen suppliers such as A D Metro build resistive touch screens that are low cost, are low on power consumption, and readily integrated into control panel technology. However, many shops and warehouses get dirty, whether the culprit is dust, chemicals, or organic matter. Control panels may need to be washed down or resistant to sparks and contamination, which is why supplier A D Metro also designed its ULTRA resistive touch screen. Like a resistive touch screen, it can be operated either by stylus or gloved hand, but it also has an impervious surface and it operates in a wider environmental range. For environments that are more forgiving but combined with software with greater demands, PCAP touch screens may prove to be the right solution. These are the same touch screens you would find on your smartphone, offering multi-touch and better optics, but made with durability in mind by companies that work with supply chain technology manufacturers like A D Metro. 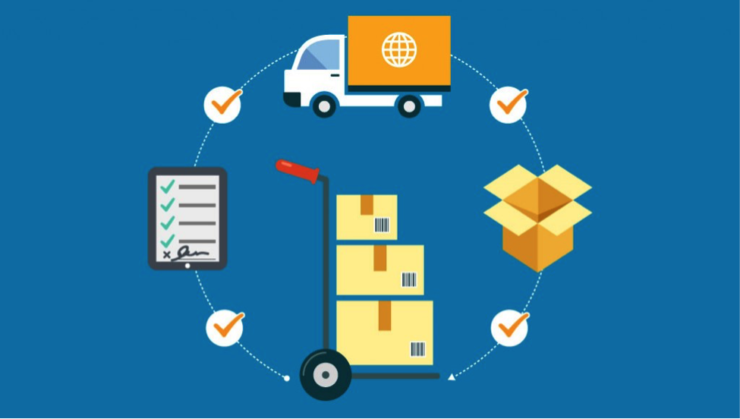 Supply chain analytics are essential to organizations searching for efficiencies and cost savings, but they need the right technology solutions to collect that data on the ground. Touch screens made by the right supplier, that are durable and compatible with the demands of big analysis, whether that means resistive or capacitive touch screens, are an important part of that technology. The efficiencies are out there, supply chain managers just need the tools to find them.